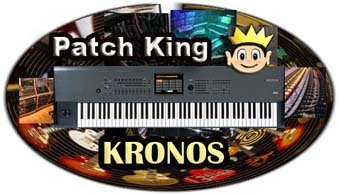 Thank you for your purchase of our Korg Kronos Sounds. Our Kronos sounds were created on the original Kronos 1. The Kronos 2 has a different program order, so when loading into Kronos 2 some adjustments need to be made. Korg has simplified the process with the release of the 3.0.3 OS. Kronos 2 owners just have to choose “yes” when the message about remaping pops up. As long as you have 3.0.3 or higher then it will remap everything on the fly. Just save the PCG file with the new mapping set up after you load. Then it will all set up for you if you need to reload it at any time. If your new to loading sounds on the Kronos, please read the loading instructions provided with your download. Each sound library is set up a little differently. All sound libraries include a PCG file. PCG’s include Programs, Combis & Global data. Once loaded, the PCG sounds stay in the Kronos memory until you load something over it. Most of our sound libraries include 64 programs and 32 combis in the PCG, but the amount varies depending of which sound library that your working with. Other sound libraries also include a KSC file. KSC files include new sample data. The Kronos will not hold sample data in memory when you turn it off, so the KSC file has to be reloaded each time your start up Kronos. New users may also be confused on how to set up the UserBank.KSC file, from one of our libraries that includes new sample data. So unless you have experience loading new samples, we suggest that you just set up and load the data off your USB drive. That will quickly get you going and you can start playing your new sounds right away. Then, after you get more experience on how everything works, you can set up the UserBank and the Auto Load and you will be a real pro when it comes to loading new sounds into your Kronos. Here’s a quick and simple way to get yourself up and running right away. Your loading everything off your USB drive. 1- Insert your USB drive into one of the USB slots in the back of Kronos. 2- Choose “Disk” and select your USB drive. 5- After the KSC file loads, choose NEPRO.PCG” and choose “Load”. 6- Choose “OK”. Data will load in a few seconds. You can also load the PCG first and the KSC second. Either way will work. Just make sure you load them one at a time. Loading them separately will avoid errors, but it’s possible to load them both at once. Remember that a box should pop up about the remapping. Just follow the above instructions to remap everything on the fly.